HMD Global’s Nokia smartphone branding strategy and release schedule are starting to get a little erratic and confusing, especially given the different markets targeted by (slightly) different models. Case in point, the newly unveiled Nokia 8.1 that’s basically a rebadged X7 for “international” markets, bearing little resemblance to either the original Nokia 8 or the 8 Sirocco released in early 2018. This is also unlikely to follow in the footsteps of the 7.1 stateside, carrying a recommended price point of €399 in Europe, where it’s reportedly slated to go on sale on January 14. Complicated family roots and convoluted branding aside, the Nokia 8.1 looks like an extremely respectable upper mid-range device on paper, crossing every essential item off the to-do list of an Android phone in the aforementioned price bracket. A reasonably powerful Snapdragon 710 processor is found under the hood, along with 4GB RAM and 64GB internal storage, while the “notchy” 5.84-inch “PureDisplay” of the Nokia 7.1 grows to a 6.18-incher on the 8.1. The 2280 x 1080 screen resolution stays the same, but the Nokia 8.1 sports a wider cutout and narrower chin than its slightly lower-end cousin. HDR10 support is also added in the mix. The battery capacity is beefed up to a healthy 3500 mAh, which Nokia expects to be enough to deliver 2-day autonomy, aided by the power-saving features of Android 9 Pie. The Nokia 8.1 will unsurprisingly run a close-to-stock version of Google’s latest OS build courtesy of the Android One program, while also using various AI techniques to improve the skills of its dual rear-facing cameras and impressive single 20MP selfie shooter. 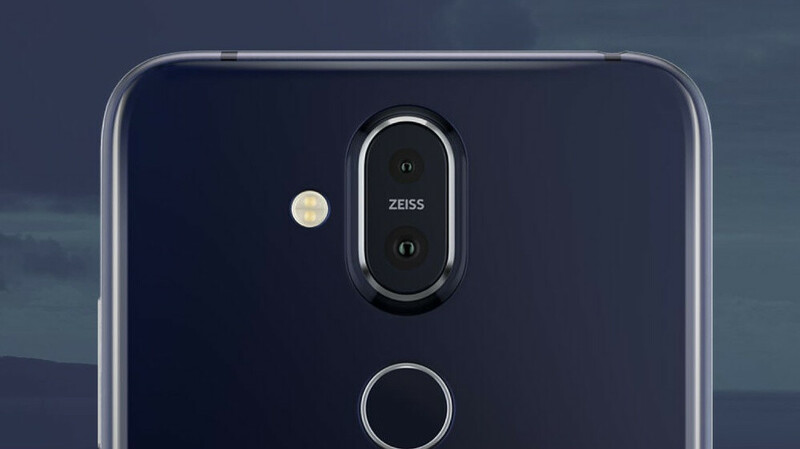 The dual imaging sensors on the back are Zeiss-enhanced as well, with the main 12MP lens offering optical image stabilization, while the secondary 13MP cam is understandably humbler. An android device needs at least 5k mAh to be a 2 day device (for me at least) while an iPhone needs 4K. You might actually be right :). Another champ from Nokia it seems they establishing themselves as mid-tier money for value favourites. Price, specs, A1, looks and all essentialls are there. HMD releases another midranged beauty. They’ve certainly established themselves as one of top 3 value for money OEM’s in the midrange part of the smartphone market, and I’m loving the “affordable premium flagship” moniker that was mentioned at the unveiling. Through their low to midrange market releases, HMD has really established themselves with the Nokia name in places like Europe, the UAE, MENA, and elsewhere. In two years they’ve become a top 10 global smartphone brand. The Nokia 8.1 looks gorgeous, and I can’t wait for U.S. availability. Kudos on releasing another midrange beauty, HMD. So it's not coming to the US. Once again HMD drops the ball. I don't mind giving my money to OnePlus for the best phone ever, but I would have preferred the 8.1 over the 7.1. The Nokia 8.1 isn't coming to the U.S. right now, but there is no definitive information out now that says it won't ever be released in the U.S. However, considering how well HMD has been doing with sales and market share growth without too much of a presence in the U.S., one could hardly say that they are dropping the ball. They are doing what they have always done, which is focus on the markets where they are strongest. Can't fault them for that. The 7.1, while lesser powered than the 8.1, is still a very capable smartphone that has been recently released by HMD and available for purchase in the U.S. Unlike some, I don't sell myself short. Why go for less when a better spec version is out? There's no reason why the 8.1 shouldn't be released in the US. Nokia already has a very limited footprint here and it would have been great to have the 8.1 after missing out on the 7 Plus. Unlike some that actually sell themselves short but deny it, I don't. I choose what's the best options available to me and for my needs. The Nokia branded smartphones by HMD suit those needs. I also understand that about business, and why the 8.1 may not be released in the U.S. HMD has proven that they don't need a large footprint in the U.S. to grow sale and market share. This is done by focusing on markets that they are strongest in. That's business 101.